Now it is your turn to explore equilibrium. 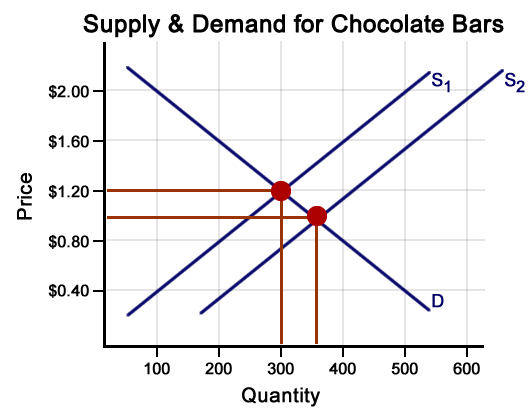 Use the interactive graph below to discover how shifting the supply curve results in changes to price and quantity. Click on each question to reveal its answer. For each question below, interpret the graph and then click 'See answer' to check your answer. When you shift the supply curve to the right, what happens to the equilibrium price? 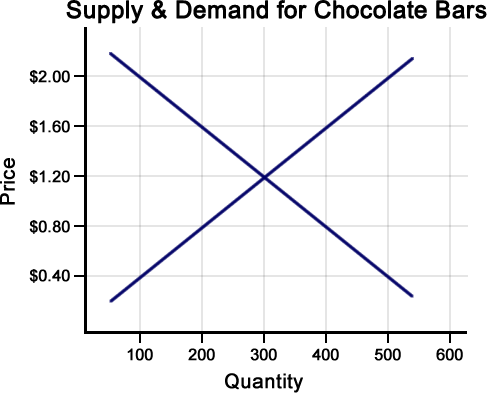 When you shift the supply curve to the right, what happens to the equilibrium quantity? 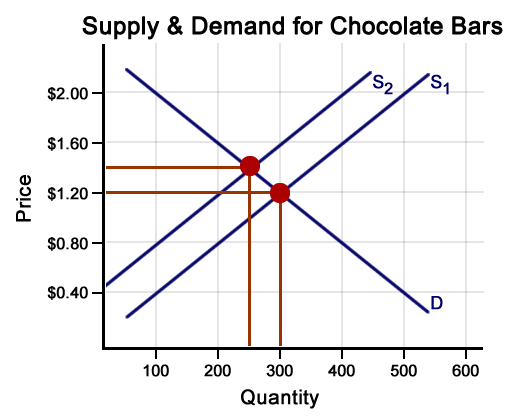 When you shift the supply curve to the left, what happens to the equilibrium price? 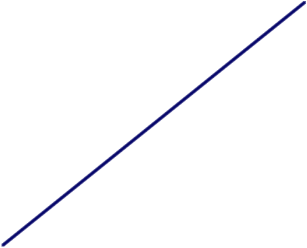 When you shift the supply curve to the left, what happens to the equilibrium quantity?